This is one of my favorite antiques in my home. My mother-in-law was an antique dealer, and she gave me this one Christmas years ago. 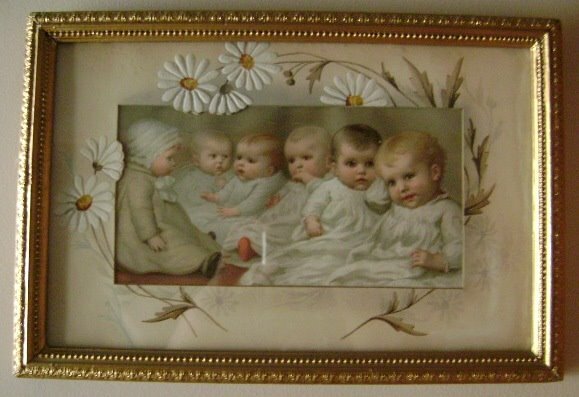 On the back is a label that says “The Prize Babies” copyright 1888. It is a CHROMOLITHOGRAPH. You can read about the process that is used to create something like this here and read about the creator, Louis Prang, here. I don’t know too many people who can resist a picture of an adorable baby. This is on my wall just above another adorable baby… my first grandchild, Jacob. When Jacob was still in his Mommy’s tummy, I made him a little quilt with dog houses on it. 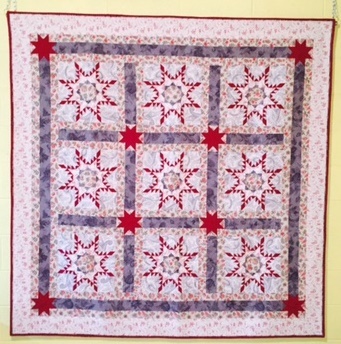 It was hand quilted, and it had all my love, heart, hopes and prayers stitched into it over a period of about seven months. 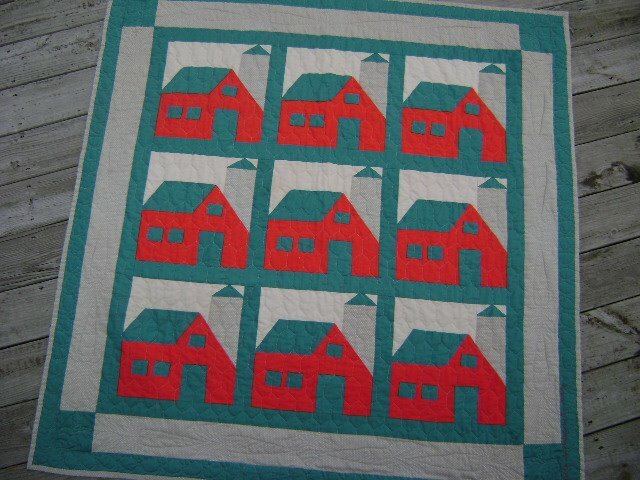 This “Country Barns” quilt was made for my first baby, Sean, in 1977. Sean is Jacob’s Daddy. Who makes quilts for other “prize babies?” You know, those adorable babies of celebrities? I was sitting here looking at my “prize babies” and wondered what the quilts of celebrities look like. Who makes them? What do they look like? You just know that they will be great… probably hand quilted and flawless. Can you find pictures of them online? So I did a search. I didn’t have luck. Can you find some? « Caron, Where Are You?